You all know how much I love the beach. I worked up a vintage beach journal with beautiful beachy ribbons to share with you here today. 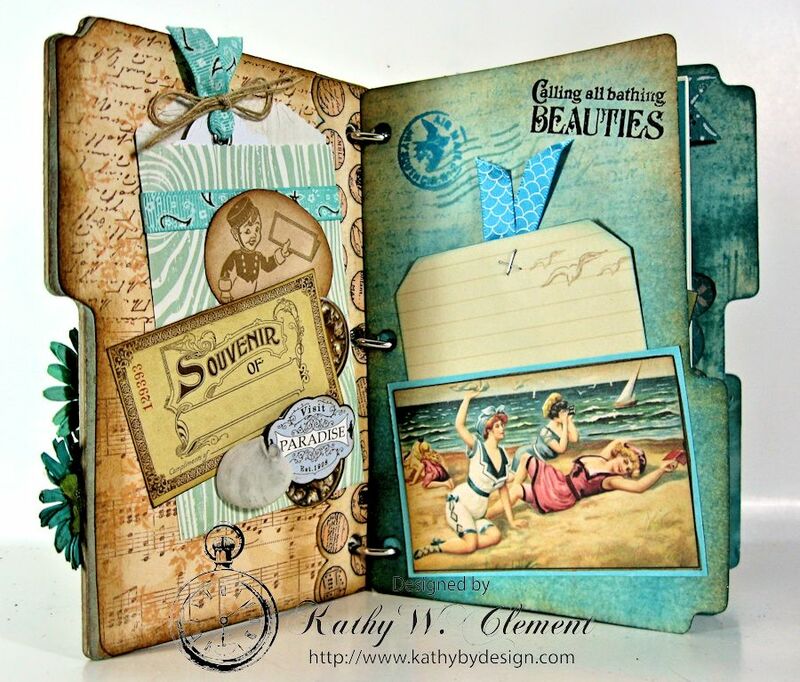 This little wooden file folder album was painted and then layered with beautiful vintage images from Crafty Secrets. 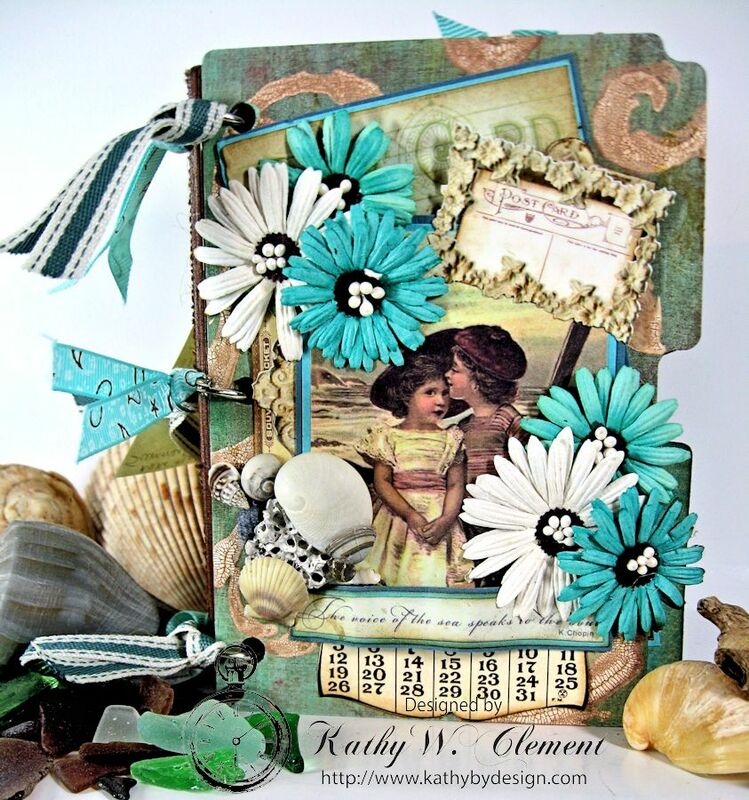 I was thrilled to find ribbons that were the perfect match for the teal and tan color combo. I tied Sage Canvas Color Band ribbon onto my ring binding system along with this pretty Paisley Print on Aqua grosgrain ribbon. 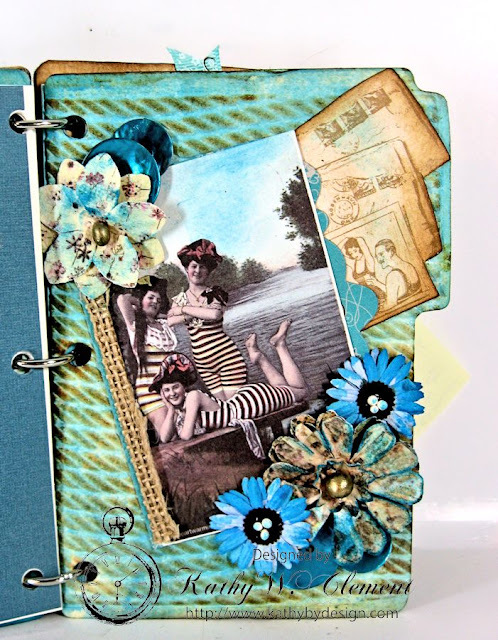 Inside the album, I added bits and pieces of ribbon to tags, photos and pockets. 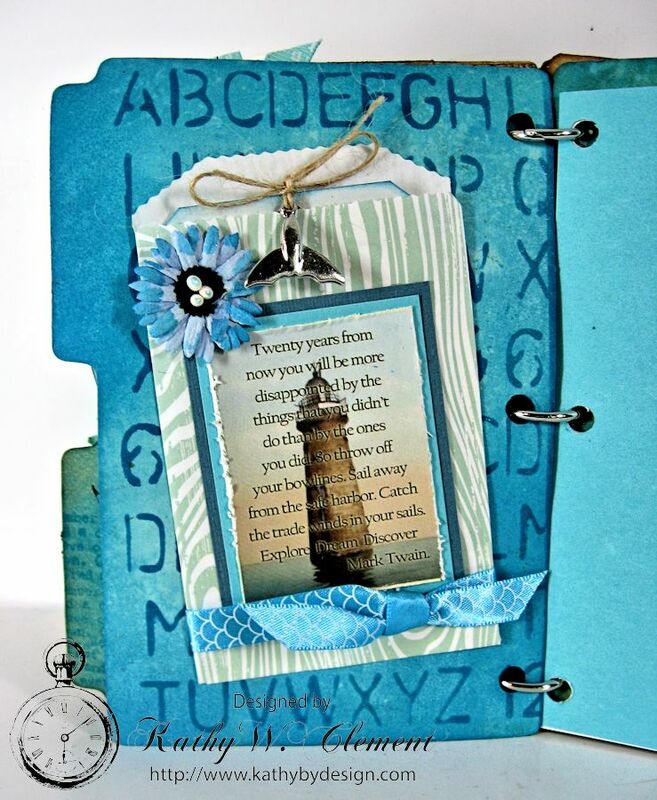 It's a great way to use up little scraps of ribbon. Here's more of the pretty aqua paisley ribbon twinned up with my all time favorite Natural Burlap String. 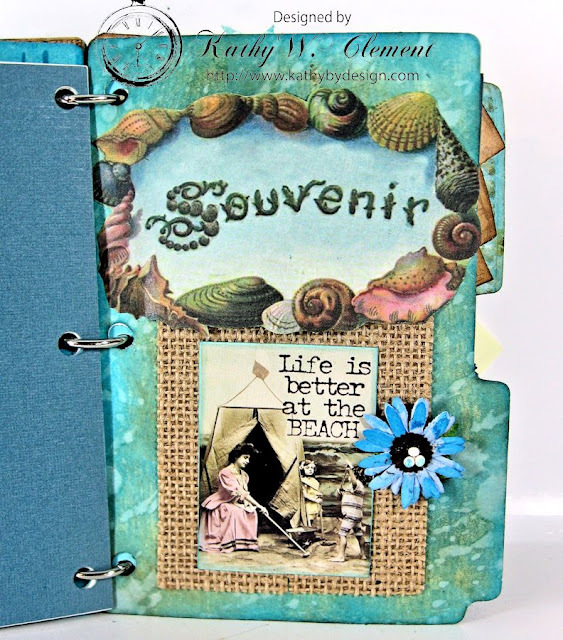 On the facing page, I've used a scrap of gorgeous Turquoise Shell Print Satin Ribbon on my tag. 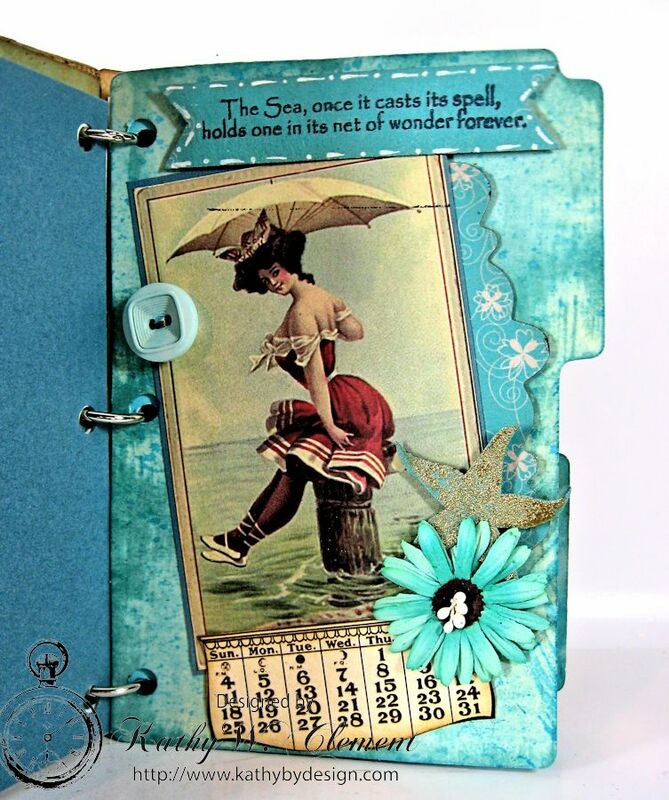 All the images in this little book are from the Crafty Secrets Summertime Journal and Images Booklet. 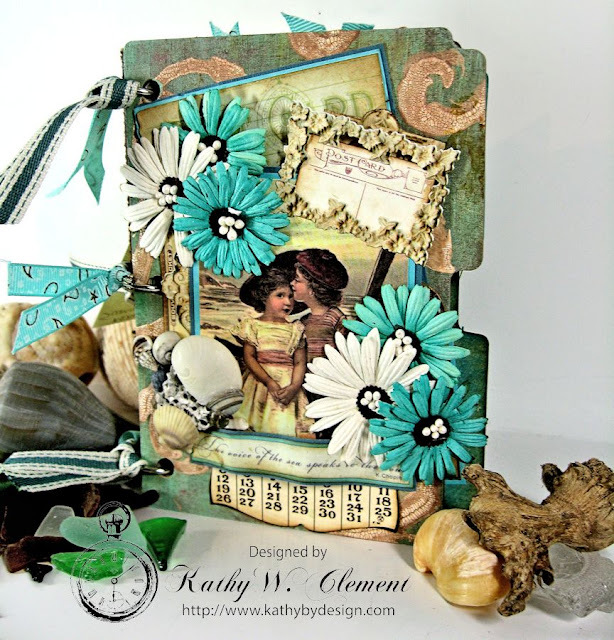 I love the texture and shine that just a little bit of ribbon adds to a layout! 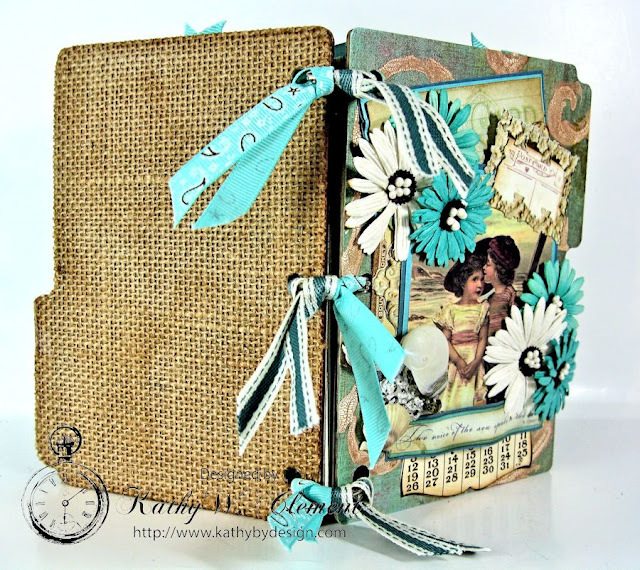 Burlap does the same thing...lots of texture and an instant background. The little album comes with tabbed manila divider pages. I inked up the divider pages with Distress Inks in Mermaid Lagoon, Salty Ocean, Tumbled Glass and Vintage Photo. A little spritzing or stenciling on each page made quick work of backgrounds. 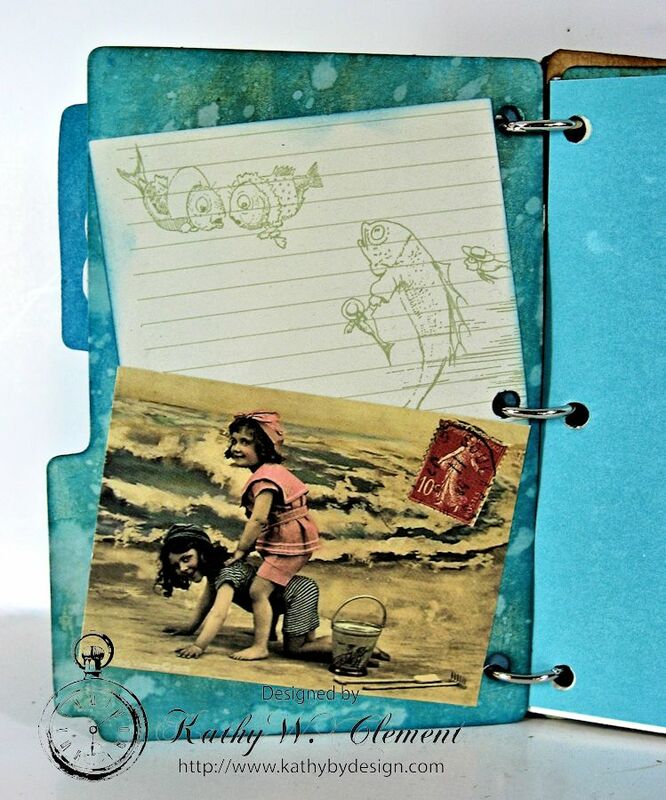 For the journal pages, I just cut acid free ivory paper to 4" x 6" which is 1/4" smaller than the size of the book. 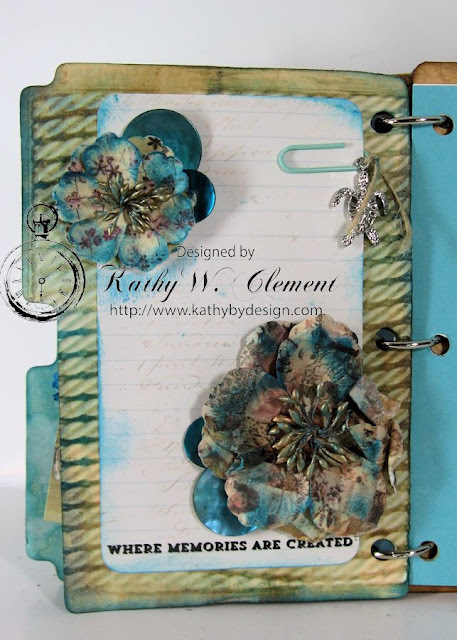 When flowers are not quite a perfect match for a project, ink them up with Distress Inks! To add a little shine, I tucked turquoise shell buttons under the flowers. I found a big box of these colored paper clips at Tuesday Morning and I use them all the time. I used Natural Burlap String to suspend my silver sea turtle charm from the clip. I've topped my tag with Aqua Paisley grosgrain ribbon and topped the bag with another strip of the sage Canvas Color Band ribbon. Quick and easy, but it looks great! I have a tutorial on my Kathy by Design Blog with more details on how I put the album together. If you're interested, you can find it HERE.